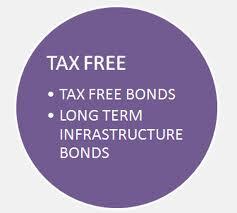 Tax-free bonds have always been a favourite with investors due to the taxation benefit that they offer. These bonds, generally issued by government backed entities, are exempt from taxation on the interest income received from such instruments under the Income Tax Act, 1961. However these bonds do not offer any additional taxation benefits under section 80CCF of Income Tax Act, 1961. Tax-exempt bonds generally pay lower coupons than corporate bonds as they enjoy a better credit rating and the interest received is tax-free, thus after-tax returns work out to be higher for the tax-exempt bond. Public Issue: During the public issue of the bonds, you can invest in them by applying directly through physical form and furnishing the details as requested. Exchange Trading: Post the public issue; these bonds are listed on NSE or BSE or at times on both for trading. As per the recently introduced Section 80-CCG, RGESS scheme is available only to a "New Retail Investor" on investments in the 'Eligible Securities' and offering tax exemption up to Rs. 25,000.